Thank you to Leotudes for collaborating with me on this post. As always all thoughts and opinions are 100% my own. Leotards are so in right now and I LOVE them! 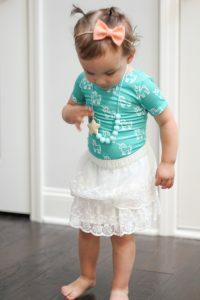 I wanted to share 7 ways Izzy dresses her leos. Our favorite leotard shop is leoTUDES. She has the most darling custom leotards in short and long sleeve. 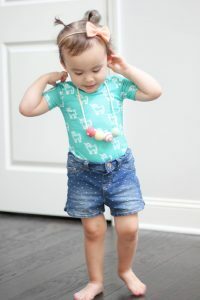 She even just added little shorties to her shop, which are perfect for the summer! Enjoy the darling photos below. Nothing like a tight top popping out of some baggy overalls. I love the contrast of fitted and looser items together. 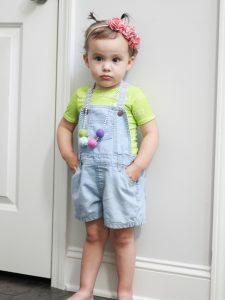 Also who doesn’t love a kid in overalls? Every little girl should have leggings. They are perfect for busy babes that are constantly on the go. 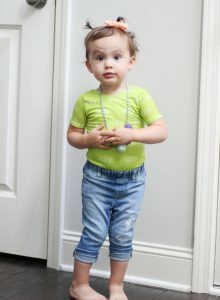 Add a legging with a little ruffle on the bottom and the look becomes a whole lot more feminine. This is a given! 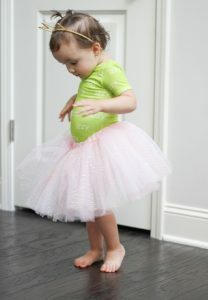 Can you say the cutest ballerina ever? 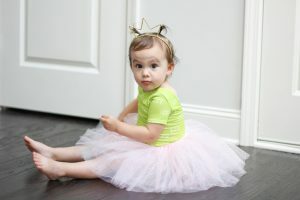 This is the most darling look for dress up, dance, a photo shoot or birthday party. Treat the Leo like a tee or tank and pair it with a fun pair of shorts. I picked jean short, but sporty shorts could give the leotard another whole look. Ahhh, skirts! I just love skirts on little girls. 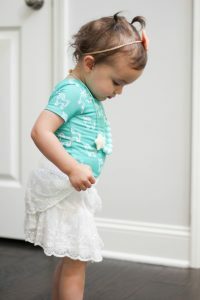 This little lace skirt dresses up the Leo which is perfect for a brunch or tea party. Izzy goes to gymnastics and loves wearing her leos to class. Add moccasins or mary janes and you are good to go. 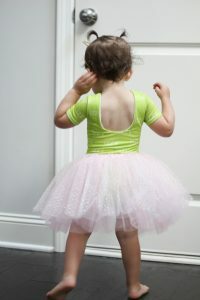 How do you like to dress your child(ren) in their leotards? Pictures are so cute! I wouldn’t have even thought to do overalls! Izzy looks so cute in those Leo’s! Loving all these looks but especially that tutu on her!! 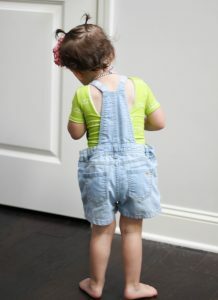 Those are the cutest overalls ever! 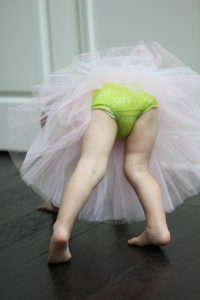 And a little girl in a tutu is always my fave! Izzy is so cute in her leo’s! We typically do leo’s with skirts… Bella is all about dresses and skirts right now. 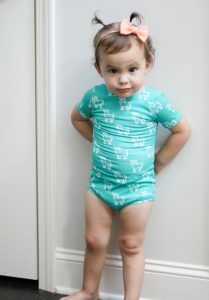 These leotards are absolutely adorable and I love how you styled them! Such great ideas! 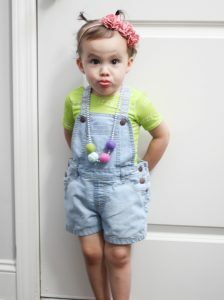 i can’t handle this level of cute, those overalls! This is such a cute post! I’ve never thought to style a leotard with anything other than a skirt so thanks for the great ideas!